Electronic Health Records: Deterring or Retaining Physicians? 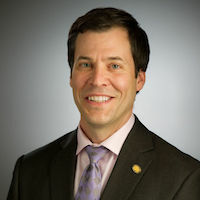 Despite prior reports indicating electronic health records (EHRs) are chasing physicians out of their practices, investigators from the University of Notre Dame have found this claim to be false. While advanced EHRs have a reputation for being cumbersome and chasing physicians from their practices, basic EHRs have increased the retention rate of physicians and provided them with benefits. However, in interviews with MD Magazine®, investigators Kartik Ganju, PhD, MSc, BSc, assistant professor of information systems at McGill University, and Corey M. Angst, PhD, MBA, professor at University of Notre Dame, expressed how some ideas circulated through the popular press, like those of the late political columnist Charles Krauthammer, claim physicians are leaving the practice of medicine since the implementation of EHRs are onerous and debilitating. In effort to test this claim, the trio decided to investigate. In discussing the conflicting characteristics of EHRs with MD Magazine®, principal investigator Brad N. Greenwood, PhD, MBA, MIT, BS, associate professor at University of Minnesota’s Carlson School of Management, noted that physicians are the greatest asset to a healthcare system. Therefore, it’d be reasonable for administrators to only invest in technology that would improve the productivity of physicians and elongate their careers. Attempting to further close this disparity of benefits and hindrances surrounding EHRs, Greenwood and his team examined how providers reacted to the increasing presence of EHRs within their organizations, and whether their increased implementation affected their decision to continue practicing at their current hospital. Upon assessing data from 12,966 physicians across 304 hospitals in Florida between 2000 and 2010, investigators found that implementation of basic EHRs made physicians significantly less likely to exit their organization, translating to a 6.77% increase in the retention rate of physicians per year. Conversely, investigators found implementation of advanced EHRs caused a significant acceleration of physician departure, translating to a 6.94% increase in the rate of physician departures per year. There is no significant correlation between EHR implementation and physician retirement. The effects are more pronounced with younger and older physicians, as opposed to physicians in the prime of their careers. Specialists are affected to a much greater degree, as opposed to general and family practitioners. Hospital departure increases dramatically when there are many hospitals that are geographically clustered, i.e. costs for switching hospitals are lower. The findings proved use in understanding the competing effects of EHR systems, Ganju said. As more technology is implemented in healthcare, physicians will have to continually balance the potential benefits that these technologies will bring with potential disruptions, Ganju noted. Administrators will also need to be sensitive to the possibility that physicians may resent these disruptions and instead elect to depart their hospitals on the implementation of disruptive technologies. Though the dissatisfaction surrounding EHRs are evidential to Angst, he noted that some doctors have said it would be nearly impossible for them to go back to the “old way” of data logging. Angst also noted the importance of study’s time period, which ends in 2010. Since then, EHRs faced glacial rates of mandate from regulators, and an entirely new workforce of medical students entered the field, having been trained on EHRs. Looking forward, the team plans to further identify other factors that may drive physicians out of the practice of medicine and figure out how to decrease the level of disruption new technologies will likely cause (e.g. telemedicine, AI in diagnostics). Angst believes they may learn through follow-up analysis whether the various EHR vendors have a role in physician departures. The study, "How Does the Implementation of Enterprise Information Systems Affect a Professional’s Mobility? An Empirical Study," was published online in the Social Sciences Research Network.